* "Old Love has plenty of heart!" * "But it's the acting that makes or breaks the story. . . and here Quillin and Mitchell serve the story quite well." * "A very entertaining production." * "...as a 60-something gentleman sitting behind me said after the production ended, 'That was cute.' And not only did his wife agree, but several others echoed similar sentiments as they left the theater. For a warm, summer night along the St. Clair River, can you ask for a response better than that?" Michigan playwright Mary G. Kron meticulously researched her project, but was more fortunate than most historians in having primary resources for recreating historical figures. John and Abigail...were prolific letter writers – and some 1,200 of them were preserved. Excerpts have been crafted into a sort of dialogue; they are the meat and sinew of this charming play. My Dearest Friend is not a history book. It is the intimate story of two extraordinary people that transcends history. That's a tale worth telling. Gary as John Adams, Dog Story Theater, February 2014, photo by Tim Motley. Mary Beth as Abigail Adams. Dog Story Theater, February 2014. Photo by Tim Motley. 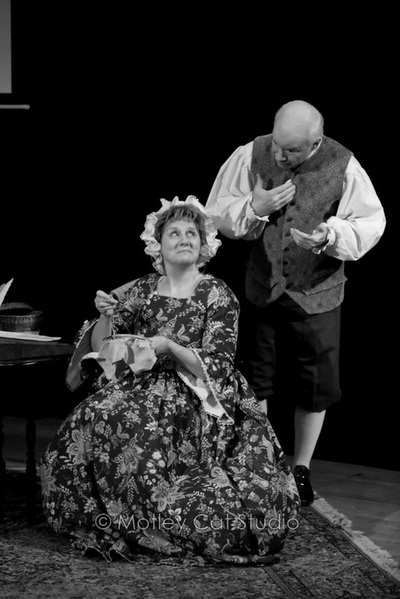 Abigail and John recall their courtship. 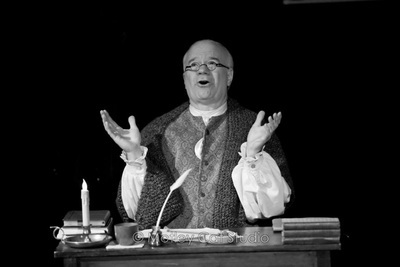 Performance at Dog Story Theater, photo by TimMotley. 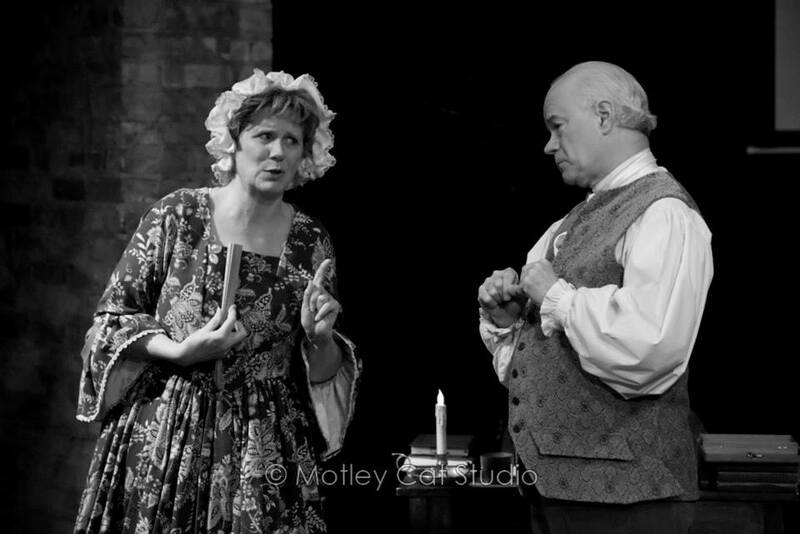 Abigail chastises John as they remember their courtship. 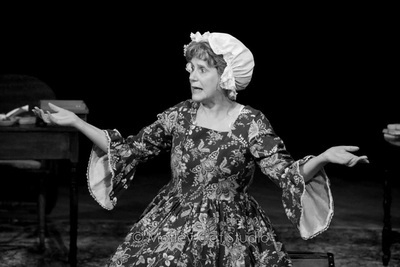 Performance photo by Tim Motley, Dog Story Theater, February 2014. Read the Grand Valley Lanthorn feature article telling of the journey to produce My Dearest Friend, by Mary G. Kron. Praise for Love Letters. . .
"Comments on the surveys were all very positive. The comment I saw the most was 'please do more programs like this'. Comments from patrons attending the program were extremely positive and enthusiastic. Gary and Mary Beth were easy to work with and the production was funny and engaging." Jean Sanders, Grand Rapids Public Library.